The people of the South Pacific are calling, can you answer? 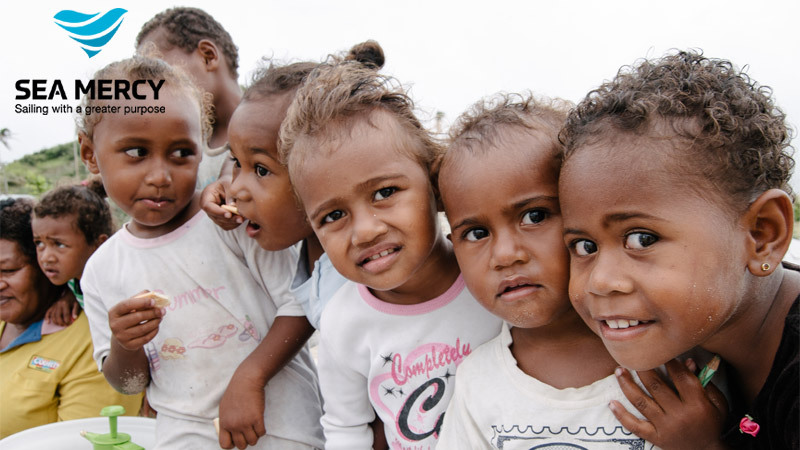 As a Sea Mercy volunteer you are not only the very heart and soul of Sea Mercy, you are our ambassadors to the people and nations of South Pacific people, and to our sponsors and donors. As a result of that title and responsibilities, we take the selection of our volunteers very seriously. There are four Sea Mercy programs that involve the use of international volunteers and within each one, are many additional volunteer opportunities available with Sea Mercy. Often separated by hundreds of miles, one of the greatest challenges for the survival of the thousands of "at risk" remote islands across the South Pacific is staying connected to the health care, disaster response, education and economic development services that are only available on the few primary islands. Since 2012, Sea Mercy and our partners have slowly been connecting these remote islands to these much needed services by creating a local Sea Bridge of volunteer yachts, captains and experts to assist our current island nation partners (Tonga & Fiji). Free Health Care Bridge - Floating Health Care Clinic program brings free health care teams and services (medical, dental and eye) to the thousands of 'at risk' remote islands across the South Pacific. Disaster Response & Recovery Bridge - First Response Fleet Delivering emergency food, water, shelter, and medical aid following natural disasters (cyclones, earthquakes, tsunamis) and the tools and ongoing supplies needed to rebuild devastated remote island communities. Economic Development Bridge - RISE Program is also developing self-sustaining and thriving remote island communities. Education & Training Bridge - Our Education and Research Program will provide local and international education, research, and training opportunities. Although our local Sea Bridge programs in Tonga and Fiji have had tremendous success, there are ten more island nations, consisting of thousands of remote islands, spread across 50+ million square miles, desperately waiting and in need of these basic services. Unfortunately, many of these remote islands are so far away from the primary islands that our smaller volunteer yachts, or other government and NGO vessels (barges), cannot justify the fuel and operational expense required to deliver such services to all these islands. If we are to serve these 'at risk' remote islands, it will require a bigger, more versatile, yet economical, 'global' vessel platform that is specifically designed and built to meet those needs.